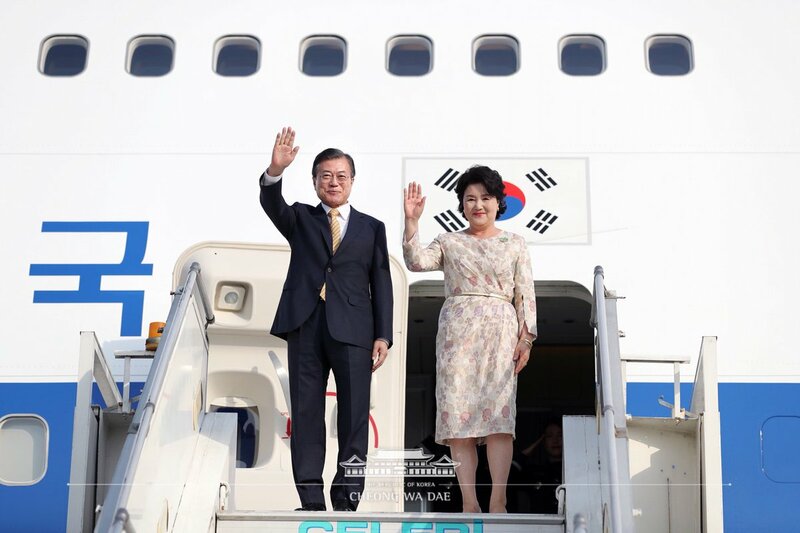 President Moon Jae-in(@moonriver365) and First Lady Kim Jung-sook arrived in #India for 4-day state visit! President Moon Jae-in(@moonriver365) and First Lady Kim Jung-sook arrived in #India for 4-day state visit!South Korean President Moon Jae-in with wife Kim Jung-sook arrive in Delhi, received by Minister of State for External Affairs VK Singh. He is on a visit to India till July 11. Moon Jae-in begins a four -day visit to India from tomorrow, and then visits Singapore, as part of his government’s “New Southern Policy,” which gives priority to the ASEAN economies and India. South Korean President Moon Jae-in will attend the India-Korea Business Forum in New Delhi today. He will visit the Gandhi Smriti with Prime Minister Narendra Modi. The two leaders will also visit a Samsung plant in Noida, Uttar Pradesh. Prime Minister Modi and the South Korean President will inaugurate world’s largest mobile phone factory in Noida today evening. The new 35-acre Samsung Electronics facility can manufacture nearly 120 million mobile phones. In June last year, the company had announced a Rs. 5,000 crore investment to expand the Noida plant and to double the production. External Affairs Minister Sushma Swaraj will call on the visiting dignitary today. Mr Moon will be given a ceremonial reception at the forecourts of Rashtrapati Bhavan on Tuesday. He will hold delegation level talks with Prime Minister Narendra Modi. A number of agreements are expected to be signed after the talks. Both leaders will also address CEO’s roundtable. He will also meet President Ram Nath Kovind. Vice President M Venkaiah Naidu will call on the visiting dignitary. Mr Moon, accompanied by wife Kim Jung-sook, arrived in the national capital last evening. A delegation comprising senior members of his cabinet, officials as well as industry captains is accompanying the South Korean President. 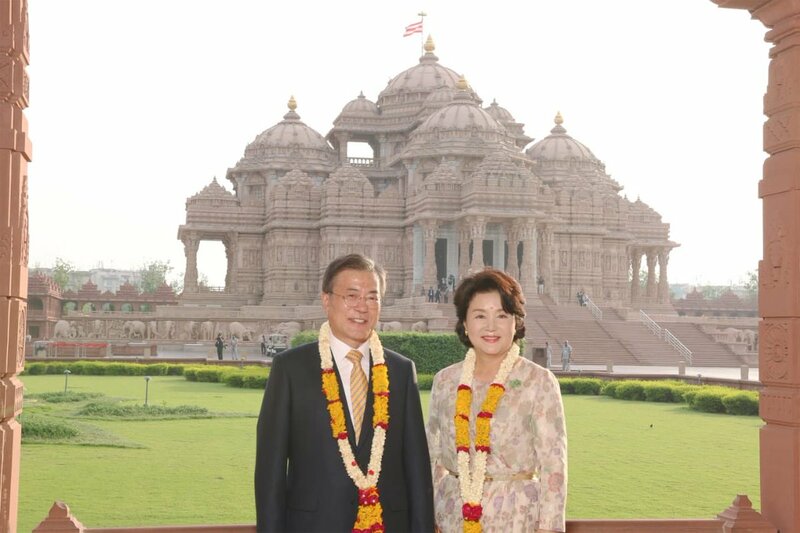 Mr Moon paid a visit to the Swaminarayan Akshardham Temple in East Delhi last evening. This is Mr Moon’s first-ever state visit to India after he took over as the President last year.